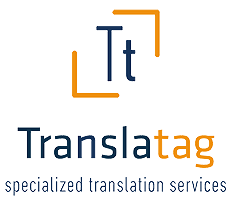 TranslaTag is a team of professionals helping experts achieve success. Our mission is to provide high quality specialized translations. We cooperate with qualified translators, linguists and experts in the field that we specialize in. The quality of our services has been confirmed by references coming from our clients over years of our activity. We have experience in managing and execution of large projects such as translation of company catalogs, computer programs, as well as translation of small documents that demand immediate delivery to the client. We specialize in translation for scientific publication and text verification for scientific publication. We also do text correction and provide scientific consultations. Apart from translations, we specialize in POS tagging, transliterations, transcription, interpreting and file conversion. See: specialized translation services. We provide English to Polish translation and Polish to English translation services. We keep on developing as a company and translators. We verify all our translated texts. We create terminological bases (TMs), i.e. glossaries designed especially for a given Client and sector. We have the possibility to convert PDF files to editable text formats. We offer a free quote. We work with the use of original licensed software. We make double copies of original and translated files.